Today's word of the day comes from one of 2016's best movies, Fences. Denzel Washington said "throwed" at least three times. Although I understand the time period and setting of the film, it made me think of my former second graders who used to mix up their present and past tense verbs. Gotta love the English language and its culture! Get the first chapter of my e-book, Look Better In Writing: A Quick & Easy Guide to Punctuation Marks for FREE! Thank you for joining me in my mission to help people (including myself) be more confident in writing! Download the first 10 pages of my e-book, Look Better In Writing: A Quick & Easy Guide to Punctuation Marks by clicking here. 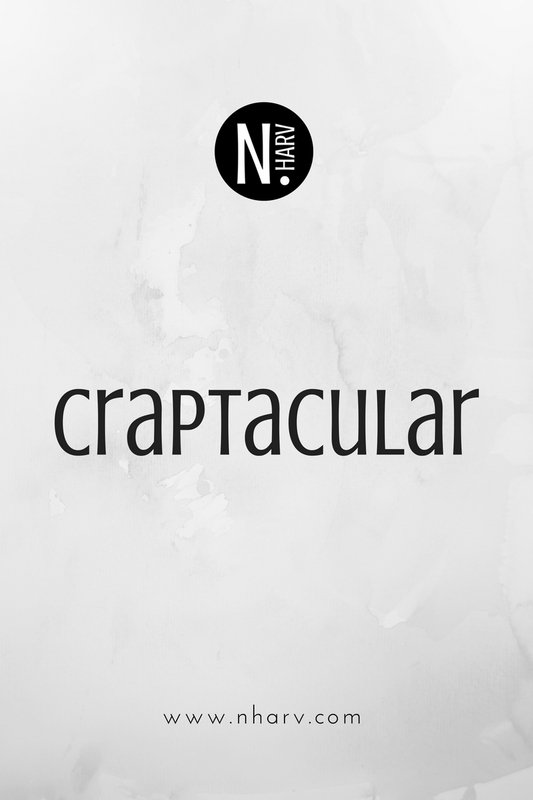 Today's word of the day is craptacular. Today's word of the day is stratetize. I'm guessing the individual who said this actually meant to say strategize. By the way, today is my bookiversary a.k.a. the anniversary of my (first) book. It would make my day, if you purchase my book and leave an Amazon book review. And to those who've already done so, THANK YOU! Click here to get your copy of my first book, SoKoDiaries: An American Teacher Living in South Korea. Today's word of the day is possibly a scientific way of saying subtract. LOL. If you substract the amount of days from February 19th till today, you will know the countdown of days before I celebrate one of my bookiversaries. I published my very first book, SoKoDiaries: An American Teacher Living in South Korea, in February 2013. If you're interested in reading about this Black chick who miraculously survived months of living in Asia, then click here. Anyway. Let's do better, good people. Substract is not a word. My (former) 2nd-grade students learned about the suffix -ant which means "ones who". Servant = one who serves. Assistant = one who assists. Applicant = one who applicates.